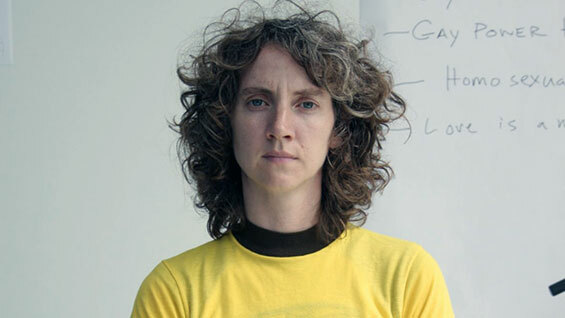 Sharon Hayes, Assistant Professor at the School of Art, has won the Visual Arts category of the 2013 Alpert Award in the Arts, with a prize of $75,000. Granted by The Herb Alpert Foundation and the California Institute of the Arts (CalArts), the annual awards are granted to "risk-taking mid-career artists working in the fields of dance, film/video, music, theatre and the visual arts," according to the awards' website. “All of this year’s winners represent the essence of the Alpert Award. They take aesthetic, intellectual and political risks, and challenge worn-out conventions. They’re unafraid of the unknown,” Herb Alpert, co-founder of the Herb Alpert Foundation and legendary front man for the multi-platinum-selling Tijuana Brass, said about the winners that include Prof. Hayes. "I was shocked," says Prof. Hayes, "pleasantly shocked. It's such a strong field of applicants. The award tends to focus on mid-career artists of some stature. So you are always up against really great, provocative, dynamic artists." A panel of professionals in the given field nominates recipients. Nominees must then apply for the award. The source of the funding is, "very significant," Prof. Hays says, "because it is a grant that comes from the perspective of an artist. It was Herb Alpert's response to the decision by the NEA to stop funding individual artists back in 1993." The awards began in 1994. Prof. Hayes, who has taught film, video and performance art at Cooper Union for nine years, describes her award-winning work as, "specific intersections between history, politics and speech. Formally, speaking, it is performance-based work that also materializes as video, sound or slide installations." For example, in "Everything Else Has Failed! Don't You Think It's Time for Love?" a performance from 2007, she stood at the corner of 6th Ave. and 51st Street with a microphone and small amplifier and spoke as if to a lost lover, touching upon the hurt of that loss as well as the on-going Iraq war and the former New Jersey Governor Jim McGreevy's "I am a gay American," declaration. (An audio excerpt of this performance can be heard as part of an extensive interview with Prof. Hayes at the Alpert Awards website.) "Everything Else…" appeared as part of Prof. Hayes' 2012 solo exhibition at the Whitney Museum of American Art, entitled "There's So Much I Want to Say to You." Her work has also appeared at the New Museum, the Museum of Modern Art and the upcoming Venice Biennale. "Sharon visualizes and performs 'agency' in her work; to me she's an artist who embodies how emotions take form and build civic society," said Dean Saskia Bos. The $75,000 prize is unrestricted, except for a requirement for a weeklong residency at CalArts. "I actually haven't cashed the check," Prof. Hayes says, "it will most likely be steered into production money and making work. I feel very grateful to Herb Alpert and the Herb Alpert Foundation and also very honored and humbled by the responsibility to fill what it is that they see in my work and the way my work engages with the world."